By Fahad Khan in People. Updated on November 19, 2017 . Whether you’re a well educated person with adequate job experience or a fresh graduate with no experience at all, you may need a little bit more help in projecting yourself to the right people. Social networking has become such an integral part of our daily lives and it’s really important for all professionals to reap the benefits. There are many professional social networking sites available where you can not only create your resume and project your professional skills but which can also help you get connected. Nowadays, even senior professionals post job vacancies through these professional social networks rather than in newspapers (as it saves cost and time) and if you’re within their professional social circle, you’ll get the upper hand. You can even approach them personally through their contact details. Most of us are aware of LinkedIn as one of the more popular professional social networking sites but there are actually a lot more out there. Here are 6 other options of professional networks for you to choose from and maybe try out for yourself. If you’re a Facebook user, you may have heard of BranchOut. 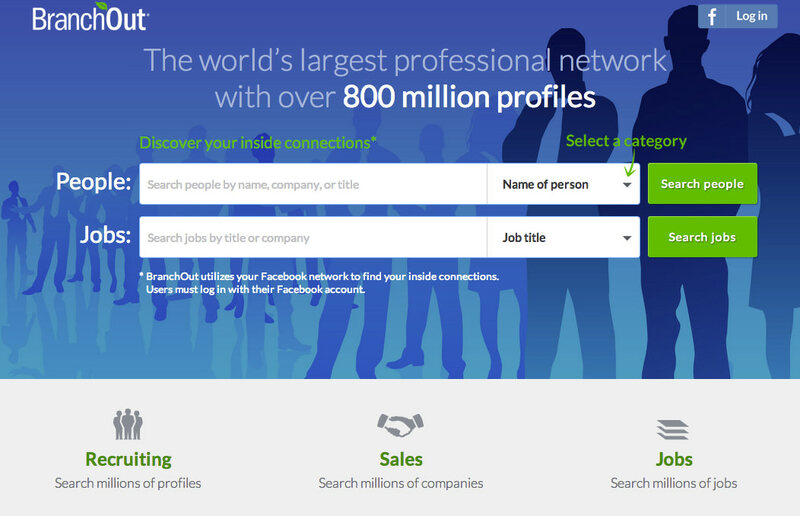 BranchOut deems itself the world’s leading professional network with more than 800 million searchable profiles. The great thing is there is no membership fee for joining. It allows the users to create a professional profile that includes their education and work experience. Although it is a Facebook application, personal information such as photo albums and status updates won’t be included with your profile. There are 3 types of enterprise products for job seekers as well as recruiters offered by BranchOut. There’s ‘Career Connect’ which allows the publishing of job posts on a company’s Facebook page and ‘Job Postings’, which is a tool that lets companies publish job openings on their Facebook fan pages and allows job seekers to apply for these job positions. Finally, there’s the ‘Recruiter Connect’ feature enables the recruiters and HR managers to search through the database of BranchOut. Opprtunity.com is a very good substitute for LinkedIn. It is the first service to use scientific methodology to match professionals together based on a real possibility of engaging in business. Its matching algorithm looks at a variety of data points including location, industry types, skill sets etc. in order to bring people together. It’s basically designed to assist professionals who are looking for sales leads, job candidates, job opportunities and much more. It is actually a tool that connects you to the people of value who you do not already know. You can use your existing LinkedIn profile, so try to keep it updated. Zerply is a very new kind of social network for the Entertainment Industry. Zerply was started by two friends in a tiny apartment just south of Stockholm. Today, it is a multi-national team which operates from several countries. It connects the entertainment production companies to top-quality creative talents and the tools to assess candidates within a few minutes. Designers, animators, illustrators and other creative mavens can build a comprehensive portfolio to show their work and look for more opportunities with ease. 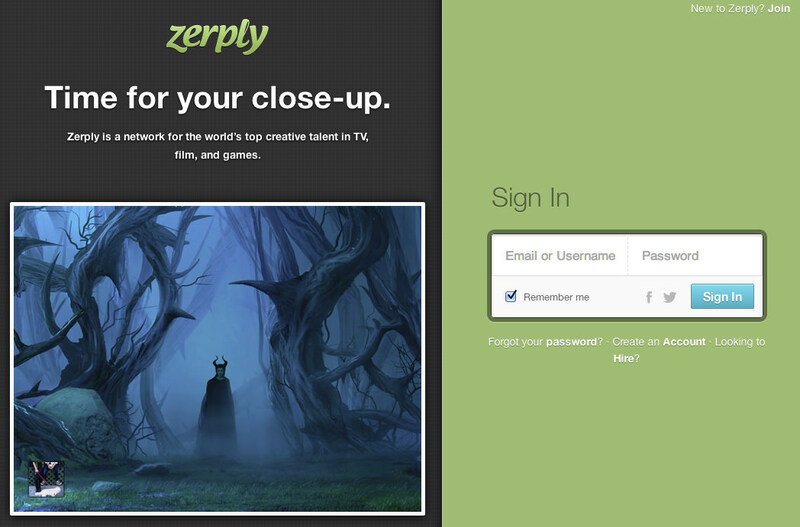 In order to join, you must be invited by a current member or you can apply by showing your work to the Zerply team. Twylah rides on the power of Twitter and it is a solid option if you are looking to increase your presence on Twitter through brand pages. 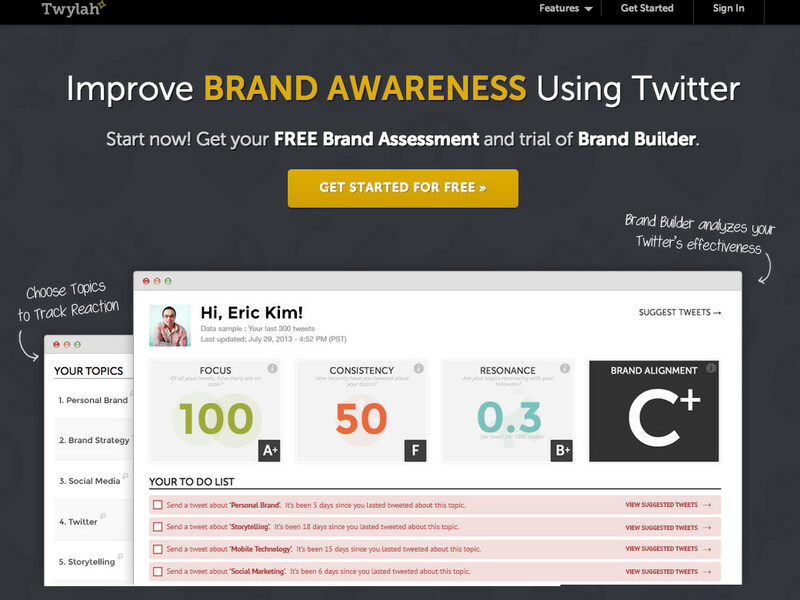 It allows users to create Twitter brand pages, which can highlight your presence beyond the popular microblogging site. By using Twylah, you can determine your true brand identity and how your brand pages are doing with your audience. Another important feature of Twylah is that it allows page optimization to boost up the visibility to produce traffic from the search engines. Twylah also gives its users the ability to run a page on his/her own domain. This basically gives you another choice for a website while promoting your brand pages via the Twitter account as well. Meetup is a another reasonable alternative to LinkedIn. It’s not just about making connections online but in the real world too. The site gives you opportunities to interact and chat with like-minded professionals who have the same interests as you. The main feature of Meetup are events. You can see upcoming events and attend the ones you think are suitable to meet up with other people like yourselves in a real life setting. One can attend Meetups by joining groups or can even conduct Meetups by starting his/her own Meetup group and inviting people to join it. Currently, Meetup consists of 15.92 mllion members from 196 countries and on average 315,827 Meetups are held monthly. 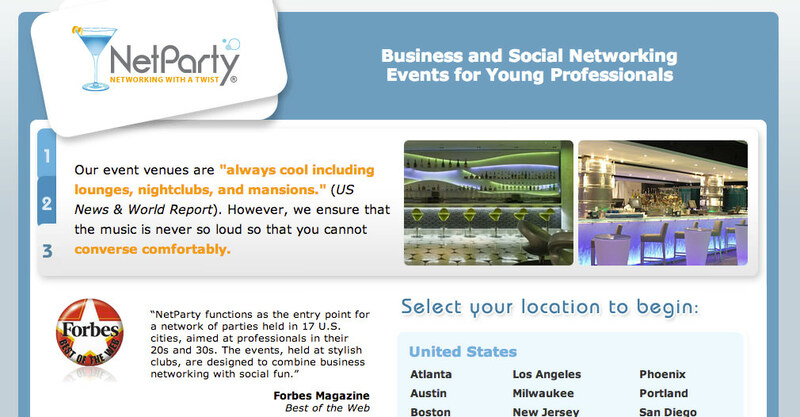 NetParty is basically a social network for young professionals from around the globe. Currently, there are around 200,000 members who have joined NetParty and it is growing on a daily basis. If LinkedIn is a bit too formal and boring for you, it is the perfect place for you to expand your professional network while having fun. The company has many branches throughout North America and Europe and basically sets up high-end parties for its members, so that young professionals can meet each other in a more relaxed setting. One can simply join NetParty by signing up at their website. Other sorts of information that you can expect to see on the website is a list of upcoming events, tickets and help about transportation or other directions. This is the best time to utilize the power of professional social networking to connect yourself with the right people, so that your professional career can grow more swiftly. LinkedIn is a pretty decent professional networking tool but there are other options out there too. And when you put yourself out there in more than one way, it leads to a higher possibility of making the connection with people that you want.